In order to enjoy the beauty of gladiolus flowers year after year, most gardeners must store their gladiolus corms (sometimes also referred to as gladiolas bulbs) in the winter. Gladiolus bulbs, or corms, aren’t hardy through frozen winter months, so you must dig them up and store them until spring if you want to grow them again the next year. 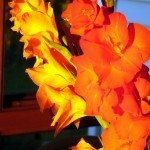 Read on to learn more about how to store gladiolas for the winter. Many people make the mistake of digging up gladiolus corms too early by doing it before the foliage has died. For the proper gladiolus winter care, you should wait until the first frost has killed off the foliage above the ground. After a gladiolus flower spike is done blooming, the plant concentrates its energy into the corm at the base of the stem. Digging up gladiolus can start about eight weeks after this, but you can do it any time until the frost arrives. Knowing when to dig up gladiolus corms might be the trickiest part, but it’s generally safe if you wait until all of the plant matter has turned brown and died back. Once the foliage is brown, you can start gently digging up the gladiolas corms from the soil. Dig the corms of gladiolus using a garden fork or spade, digging far enough away so that you don’t touch the corm. Pull the plant by its dried leaves and shake it gently to remove any loose dirt. You may see some miniature corms growing on the bottom, which you can grow into full-sized plants in a couple of years. The next step in gladiolus winter care is to “cure” the gladiolus corms. Leave dug corms on top of the soil for two days to allow them to dry. Transfer the corms to a cardboard box and place it in a warm dry place with good air circulation, at about 85 F. (29 C.). Keep the corms here for about two weeks to allow them to dry completely. Separate the parts of the corm after they are dry. Gladiolus forms a new corm on top of last year’s old one, and you’ll be able to separate the two after drying, as well as removing the cormlets. Discard the old corm, and place the new corms and cormlets back into cardboard boxes, after removing any excess dirt you may find. At this time, you can also cut the dead foliage off. When storing gladiolus bulbs, it’s important that you defend against rotting and diseased corms. Inspect them before final storage, throwing away any you find that have soft spots or mushy places. 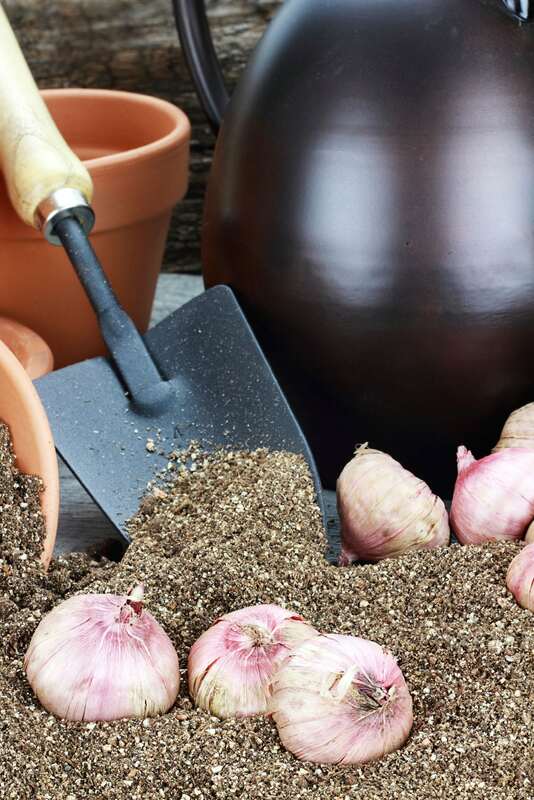 Dust the corms with an anti-fungal powder before putting them away for the winter. When thinking how to store gladiolus over the winter, think about imitating the environment the corms would experience in nature, only just a little bit better. Place them in single layers in cardboard boxes with newspaper in between the layers, or store them on screens or in onion bags. You may also place the corms in a breathable bag, like a paper bag, a cloth bag or nylon pantyhose. This will allow the air to continue to circulate around the gladiolus corms while they are being stored. Keep the corms in a cool, dry spot just about freezing, or around 40 degrees F. (4 C.). Many people choose the vegetable bin in their fridge or an attached garage to store their gladiolus corms. An unheated basement or enclosed porch is ideal as well. Store the corms until next spring, when all chance of frost has passed. Now that you know how to store gladiolus for the winter, you can enjoy their beauty year after year.